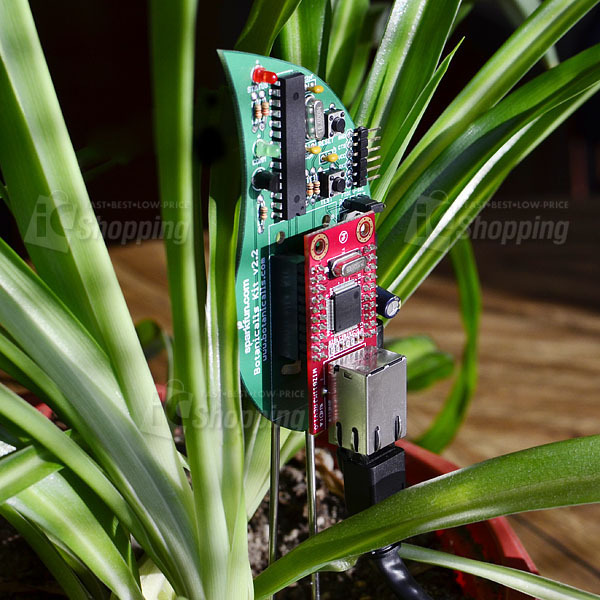 Description: Botanicalls Kits let plants reach out for human help! They offer a connection to your leafy pal via online Twitter status updates to your mobile phone. When your plant needs water, it will post to let you know, and send its thanks when you show it love. 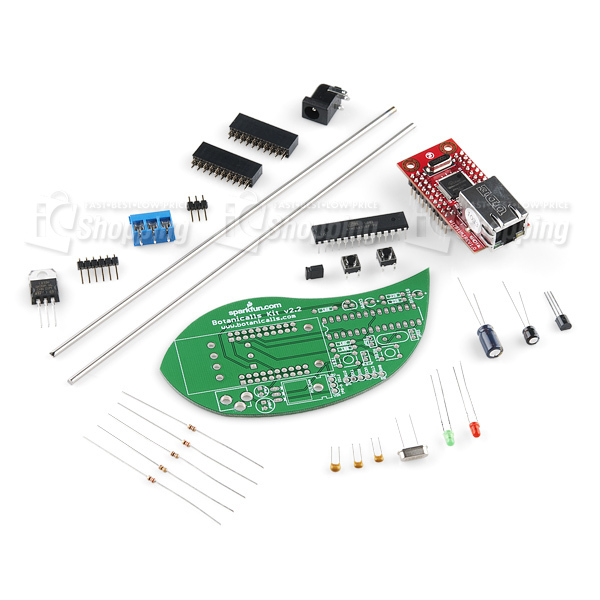 It comes as a kit so that you can hone your soldering skills (or teach someone else) while you build a line of communication between you and your houseplant! 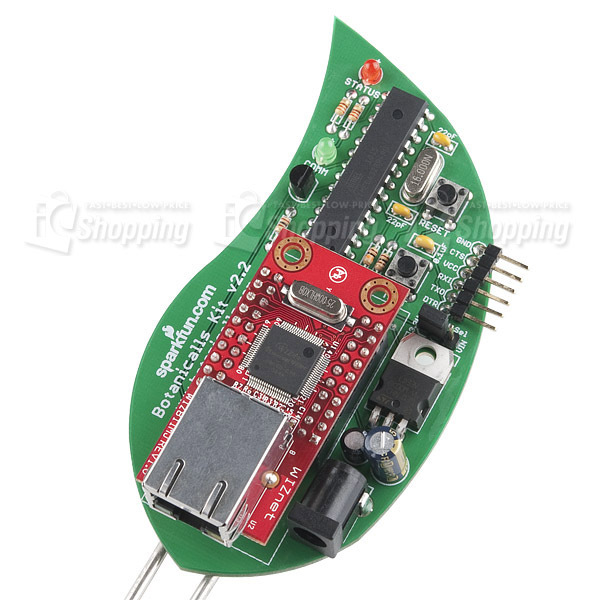 To upload custom code to the Botanicalls Kit, you'll need either an FTDI Cable or a 3.3V FTDI Basic Breakout. Note: It's not shown in the parts photo, but the kit does include a 5V Wall Adapter.